Partner of Carey and co-head of the firm’s Intellectual Property and Information Technology Group. His practice focuses on life sciences, biotechnology and public law, advising companies on intellectual property issues related to the pharmaceutical industry, cosmetics, medical devices, commercialization and advertisement of these products, scientific research, clinical studies, regulation of medical professions, privacy, data protection, public and private procurement and biddings, licenses, distribution and franchises. He also represents clients in administrative processes and in sanitary, administrative and judicial litigation derived from those operations. Important innovator pharmaceutical companies on the defense of their patent rights before Courts of Law. A major innovator pharmaceutical company on the transfer of sanitary registrations of their pharmaceutical products and authorization of the entities before the sanitary authorities. Several major innovator pharmaceutical companies on the acquisition and defense of data exclusivity rights over their pharmaceutical products. Several important innovator pharmaceutical companies on their incorporation transfer of sanitary registrations, structuring and implementation of their business structure in Chile. Several major multinational pharmaceutical companies on sanitary summary proceedings and representation of their rights before the courts of law, including summary proceedings for bioequivalence issues. Several important multinational pharmaceutical companies on their participation in public bidding process for the acquisition of their products. Several major innovator pharmaceutical companies on the development of their clinical trials and scientific investigation projects in the country. Recognized in Life Sciences, Chambers Latin America. Recognized in Life Sciences, Who’s Who Legal. Professor of the Graduate Course of Regulatory Affairs in the Pharmaceutical Sector, Universidad de Chile (since 2017). Professor of Pharmaceutical Regulatory Affairs in Pharmaceutical, Biological and Cosmetic Products Degree, Universidad de Chile (since 2009). Assistant Professor of Civil Law, Universidad de Chile (2005-2009). Author of several local and foreign publications related to life sciences and regulatory law. 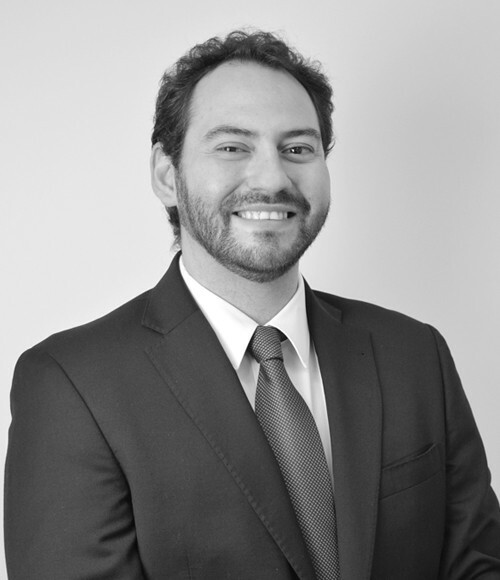 Speaker in lectures and seminars in regulatory matters in Chile and abroad.